A grey check double breasted blazer and blue ripped jeans are absolute essentials if you're putting together an off-duty wardrobe that holds to the highest fashion standards. 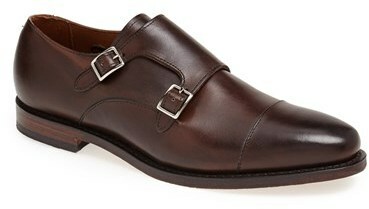 Wearing a pair of Allen Edmonds mora double monk shoe from Nordstrom is an easy way to add extra flair to your look. 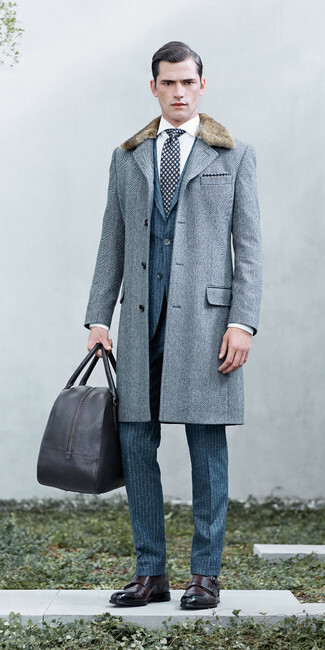 For a nothing less than incredibly stylish getup, reach for a grey herringbone fur collar coat and a blue vertical striped wool suit. 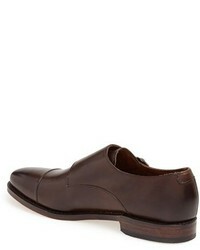 Make your getup more fun by finishing off with dark brown leather double monks. If you're hunting for a casual yet stylish outfit, pair a blue shawl cardigan with black jeans. Both items are totally comfortable and will look great paired together. You could perhaps get a little creative in the shoe department and spruce up your look with dark brown leather double monks. 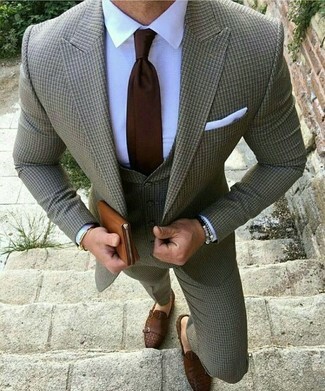 This combination of a brown suit and a white dress shirt is the picture of elegance. Add a more relaxed twist to your ensemble with Allen Edmonds mora double monk shoe. If you enjoy a more relaxed approach to dressing up, why not go for a blue cardigan and purple chinos? And if you want to instantly up the style ante of your look with one piece, add dark brown leather double monks to the mix. For a nothing less than incredibly stylish ensemble, reach for a grey check three piece suit and a white dress shirt. 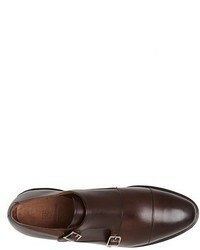 For something more on the daring side to complement this getup, go for a pair of dark brown leather double monks. This combination of a navy double breasted blazer and white chinos is very easy to pull together in no time, helping you look awesome and ready for anything without spending a ton of time digging through your wardrobe. 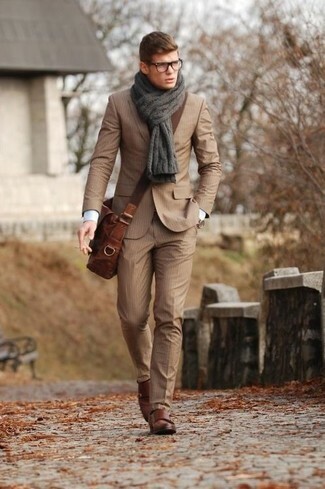 When it comes to shoes, this outfit is complemented nicely with Allen Edmonds mora double monk shoe. 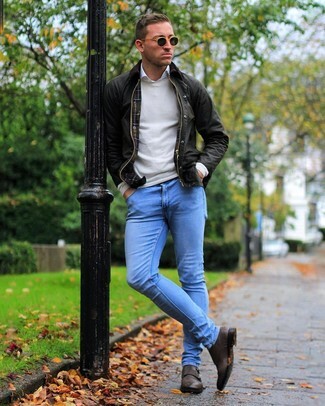 This combo of a dark brown barn jacket and light blue skinny jeans is simple, seriously stylish and so easy to copy. 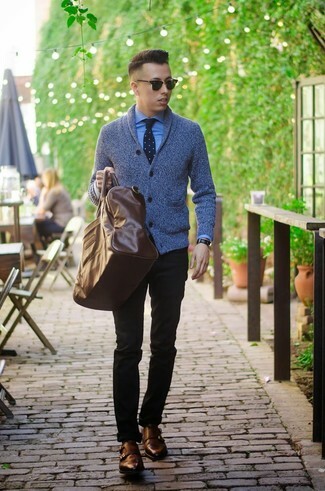 A pair of Allen Edmonds mora double monk shoe from Nordstrom adds some real flair to this look. 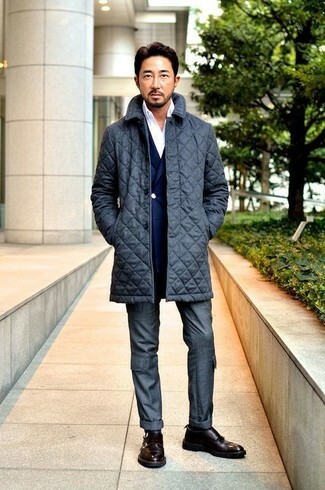 Go for a classic style in a charcoal quilted overcoat and charcoal dress pants. 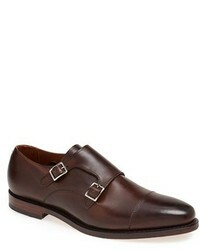 For something more on the daring side to finish off this ensemble, choose a pair of dark brown leather double monks.